Click here for this page in French. David and Goliath is an appropriate title for this video. Because Jane Bürgermeister, as a committed Christian, possesses an almost unreasonable amount of courage in her single-handed stand - against what many perceive as being a giant that few people are equipped to fight. Jane is a young woman living in Vienna who, while working as a medical editor, was horrified to learn in early 2009 of the fiasco in which a Baxter International research facility in Orth-Donau, Austria, sent a quantity of human H3N2 viral material to 18 European laboratories. Such a supply of experimental material would have been totally normal - except that in this instance the H3N2 had been somehow contaminated with live H5N1... the far more lethal Avian Flu. As a medical editor, Jane immediately realized the import of what had happened - and what had nearly happened - and raised the alarm. But no-one in the Austrian media was interested. She then took matters into her own hands and filed legal charges against those who she considered the perpetrators to be. Very soon after, Jane was dismissed from her job without explanation. Undeterred, she sought support on the internet and continued her campaign. In the months since then she has attracted committed followers - and critics - all over the world. She is not alone in suspecting that there exists a literally diabolical plan which is nothing less than the genocide of potentially hundreds of millions of people worldwide. Project Camelot can understand how she has inspired many others to wake up and take action: it's a little harder to understand some of her critics. When we learned that a number of serious accusations had been leveled against her, the obvious thing to do was to seek her out and talk to her on camera - one of the things that Project Camelot is equipped to do best. So, this we have done. The result speaks for itself. We bring you the real Jane Bürgermeister: feisty, determined, passionate, articulate, and authentic. 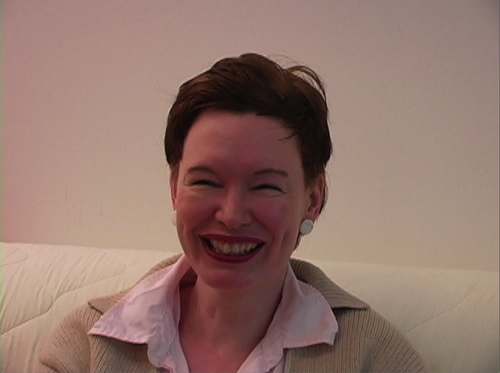 Click here for Jane Bürgermeister's website.